The design of the pieces is unique and exclusive and sets them apart from any other face brick on the market. They are easily identified thanks to their characteristic omega, logo of the company, which faithfully represents the Palautec values: exclusivity, fastidiousness and guarantee of quality. Water resistance of the face side. Anti-graffiti. Greater ease of cleaning. Controlled detoning. Avoids staining on the facade. Lifetime technical and aesthetic guarantee. The format of the brick, with a weight of around 2 Kg and a hole surface of under 38%, gives the wall greater consistency and some thermal insulation and acoustic values over and above the usual. It also provides another series of advantages: it enables the architect to plan more freely thanks to the 22mm thickness of the face brick wall, and thanks to the thickness of the brick at 5,2cm in the majority of models, which therefore represents a saving of 8% on units per square metre compared to bricks of 4,8cm. Palau face brick from Palautec is a symbol of quality and distinction which provides your project with the added value it deserves. Palautec, thanks to the R+D+i department, develops and implements the HV System in the majority of its models. It consists of a high vitrification system (HV), unique in the marketplace, which provides the brick with extraordinary hardness and resistance on its face side. Palautec’s experience with the HV System is its greatest guarantee and the results speak for themselves. 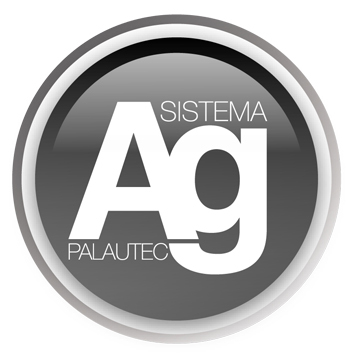 Since its implementation, Palautec has sold more than 250 million bricks with this system. More than 20 unique and singular colours with different measurements, 240x115x52mm and 285x135x52mm, and divided between the Natural, Chromatic, Rustic and A6 ranges. Thanks to null absorption of water on the face side, neither dirt nor humidity enters the brick. Total absence of efflorescence. It is much easier, faster and economical to clean the facade of graffiti. In the Rustic range, this avoids the appearance of staining on the facade. Once the brick has been positioned, we guarantee its technical and aesthetic characteristics (colour inalterability) for the whole useful life of the building.